The date was 1999, the scene was Cathedral Square, Christchurch, and the occasion was the remodelling of the square. This involved removing all the bus stops, replacing the slippery red pavers with even more slippery grey pavers and the removal of a wall separating the square from the Cathedral precinct. The removal of the wall meant that a metal notice board on the wall, informing tourists of the times that the Wizard gave his oratorical performances, was also removed. The Tree of Life from the Wizard’s Cosmology would decorate the plaque and the address of his web site would enable interested visitors to make contact. All was going well. In May the Environment Committee, ignoring two members of a radical evangelical church, Chris and Steph McEwin, who complained that this would “honour the Wizard’ in some mysterious way, voted unanimously to recommend the installation of the plaque to the City Council. At the Council meeting in June all hell broke loose. Councillor Sue Wells led the charge to stop the plaque being installed. She had received “nearly a hundred calls and emails” from people protesting the Environment Committee proposal. Councillor Wells claimed that she had estimated that 30, 000 citizens opposed the idea. The Wizard was interviewed later on TV (video) by Cr Wells who became known to the people of Christchurch by advertising a clothes hire company and who had now her own chat show on local TV. In the interview Cr Wells made it clear that she believed that, without any evidence being given, he was offensive, had “cursed people”, and should not be honoured. His comments about the similarity between this situation and the Salem witchcraft trials were ignored. He simply could not get it across to anyone that the plaque was not “honouring the Wizard” it would be in the square to inform tourists, replacing the previous notice board. 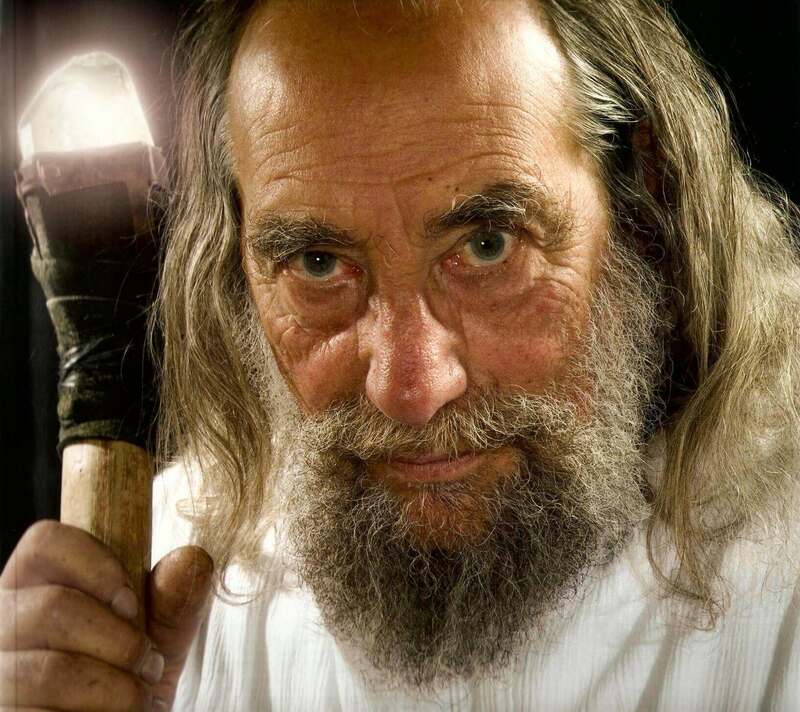 New Zealand is not a theocracy but a democracy and no charges had ever been brought against the Wizard on religious grounds. It was clear at the meeting that the McEwins had been busy creating the false idea that the Council was “honouring the Wizard” with some sort of memorial. During Wizard Week four years previously the pair had stolen the staffs of the seven wizards hatching from the giant egg and taken them into the Cathedral. To the shock of the Cathedral staff they placed the staffs on the tomb of Bishop Harper and performed a strange incantation. Led by the Mayor and Cr Anna Creighton, a proposal for some unspecified “Walk of Fame”, which would honour the wizard and such well known public nuisances as the notorious “Bible Lady”, in some unspecified place, was passed and the plaque proposal was dropped like a hot cake. There was uproar in the media and all over town at this display by the City Council of fear and loathing for all that the Wizard had stood for over the past 25 years. Mike Moore, a previous prime minister who visited Christchurch shortly afterwards, expressed his disgust at the City Council’s behaviour in the matter on the local TV programme. 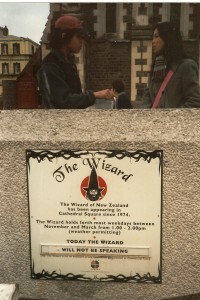 Although the Wizard approached the new Mayor of Christchurch shortly after being honoured by the New Zealand Government with a Queen’s Service Medal in June 2009, no action to install the plaque has been taken to date (November 2009).